KORANGAL VALLEY, Afghanistan (Jan. 2, 2005) — Marines of I Company, 3rd Battalion, 3rd Marine Regiment, have been operating at the forward edge of Operation Enduring Freedom, often in isolated areas where support for insurgency against the Afghan government and Coalition Forces remains. 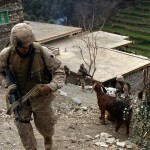 Last week, I Co., 3rd Bn., 3rd Marines, entered the Korangal Valley in Kunar Province with the mission to capture or kill terrorists suspected of conducting attacks against Coalition Forces while working to win over the trust of the local villagers. The Korangal Valley is infamous for its inaccessibility and the numerous defeats the Russians suffered there during their ill-fated campaign to control Afghanistan. After vertically inserting in CH-47 Chinook helicopters, I Co. set into blocking positions along the roads and maneuvered into their positions. “The best way to come in is on foot or by air,” said Bechtold, “We have to leave as small a signature as possible in order to not spook the guys we’re looking for into running. If you come in with vehicles, they’ll be long gone before you have a chance.” Bechtold admitted that Marines in the past have had difficulty getting into villages sympathetic to Anti-Coalition Forces without having the targets flee. Once in place, the mission of I Co. evolved to house-by-house searches as the clock started ticking on how long the Marines had until it was unlikely that their targets remained. 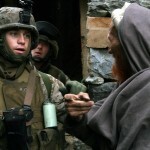 Up and down the bluffs and rocky faces that double as paths between the impossibly stacked-up houses of the valley, the Marines and Afghan Security Forces talked to village elders, shook hands and searched houses from top to bottom. I Co.’s attentiveness paid off on the second day of the operation as Lance Cpl. Sean Decoursey, rifleman from Jacksonville, Fla., crawled through a small opening in a floor to find a cache of weapons and ammunition hidden under a pile of hay. With the discovery of the weapons, the Marines held one Afghan man for questioning, confiscating his illegal weapons and ammunition. Their find was a good one. After being questioned, the man named several other anti-Coalition militants operating in the area which put I Co. right back to work in the villages. KONAR PROVINCE, Afghanistan —- Marines and Sailors of Company I, 3rd Battalion, 3rd Marine Regiment, had some close calls when they made contact with enemy forces in the Korangal Valley twice in a 48-hour period. Coming immediately after a mission where Co. I had been pursuing anti-Coalition militants, the Marines and Sailors of “America’s Battalion” came under small-arms and rocket-propelled grenade fire in the middle of the night in the valley. “It started during a watch change-over, so most of us were awake,” said Navy Seaman Jonathon Seaux, hospital corpsman with Co. I.
Seaux didn’t even notice the 7.62 mm round that lodged in his body armor just above his heart until the next day. “I guess I’m just lucky,” said Seaux, proudly displaying the small arms protective insert plate with a hole from which he had extracted a round. After taking fire for a solid 20 minutes, the Marines sent the enemy packing for the night with deadly accurate 60 mm high-explosive mortar rounds. With one squad running low on ammunition after the firefight, another squad in the valley made a night movement of over 1,200 meters to ensure their fellow Marines had back-up. The next day, the company’s combined anti-armor team went to retrieve the Marines who were maintaining an over watch position in the valley. After extracting the Marines, they got their own taste of action in an ambush by heavily-armed enemies using fortified fighting positions. “We heard muted gunfire, RPGs exploding and the sound of rounds hitting the trucks,” said Marine Cpl. Josh Burgbacher, Co. I machine gunner. Other Marines said Burgbacher, a machine gunner, calmly helped fix a jammed MK-19 automatic grenade launcher while rounds were impacting around him. The ambush was a well-planned attack, according to the CAAT Platoon Commander, Marine 1st Lt. Jonathan Frangakis. He said the enemy had a pile of rocks marking the start of the kill zone. “We thought at first it was an improvised explosive device, but they knew how many vehicles we had, and as soon as the first vehicle got near the marker, they opened up on us,” he said. For several Marines, it was their second firefight in just a few hours. “I heard the rounds impacting,” said Marine Lance Cpl. Daniel Alfieri, Co. I machine gunner. “I just thought, “Here we go again,” ” he recalled as he cleaned his weapon after returning to Forward Operating Base Asadabad with his squad. The Marines assaulted through to the village where much of the fire had originated. They confirmed two enemies killed. Another close call to complement Seaux’s included the shot-through front site post of Marine Sgt. Jason Burch‘s M-16A4 rifle. Burch said he didn’t even notice the damage to his rifle as he continued to return fire on the enemy’s position. As dawn broke in the morning, the Marines and Sailors joined together in giving thanks for their good fortune that no one was seriously injured in the firefights. The Marines returned to FOB Asadabad where, to the man, the Marines broke out cleaning gear and busted the carbon off of their weapons before considering the mission complete. KUNAR PROVINCE, Afghanistan — Marines and Sailors of India Company, 3rd Battalion, 3rd Marine Regiment had an unforgettable holiday, making contact with enemy forces in the Korangal Valley Dec. 23 and again on Christmas Eve. Coming immediately after a mission where India Co. had been pursuing Anti-Coalition Forces in the valley, the Marines and Sailors of “America’s Battalion” came under small-arms and rocket-propelled grenade fire in the middle of the night. Seaux didn’t even notice the 7.62mm round that lodged in his body armor just above his heart until the next day. “I guess I’m just lucky,” said Seaux, proudly displaying the SAPI plate with a hole from which he had extracted a round. “Better me than one of my Marines,” added the corpsman, who helped bandage another Marine’s bullet wound the very next day. After taking fire for a solid 20 minutes, the Marines sent the enemy packing for the night with deadly accurate 60mm high-explosive mortar bursts. With one squad running low on ammunition after the firefight, another squad made a night movement of over 1,200 meters to make sure their fellow Marines had back-up. On Christmas Eve, India Co.’s Combined Anti-Armor Team went to retrieve the Marines who were maintaining an over watch position in the Korangal Valley. After extracting the Marines, they got their own taste of action in an ambush by heavily-armed forces using fortified fighting positions. “We heard muted gunfire, RPG’s exploding and the sound of rounds hitting the trucks,” said Marine Cpl. 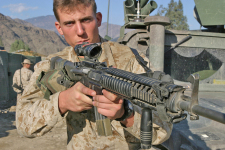 Josh Burgbacher, India Co. machine gunner from Lima, Ohio. Other Marines said Burgbacher, a machine gunner, calmly helped fix a jammed MK19 automatic grenade launcher while rounds were impacting around him. The ambush was a well-planned attack, according to CAAT platoon commander, 1st Lt. Jonathan Frangakis. The Belle Meade, N.J., native said the enemy had a pile of rocks marking the start of the kill zone. “We thought at first it was an improvised explosive device, but they knew how many vehicles we had, and as soon as the first vehicle got near the marker, they opened up on us,” Frangakis said. For several Marines, it was their second firefight within just a few hours. “I heard the rounds impacting,” said Lance Cpl. Daniel Alfieri, India Co. machine gunner from Syracuse, N.Y. “I just thought “here we go again”,” he said as he cleaned his weapon after returning to Asadabad with his squad. The Marines assaulted through to the village where much of the fire had originated. They confirmed two enemy killed and captured eight men they believe were involved in the attack. Seven of the eight later came up positive on a test for gunpowder and explosive residue. Another close call to complement Seaux’s included the shot-through front site post of Sgt. Jason Burch‘s M16 A4 rifle. Burch, a Deerlodge, Mont., native said he didn’t even notice the damage to his rifle as he continued to return fire on the enemy’s position. It wasn’t the start to the holidays the Marines maybe had hoped for, but according to what one Marine had seen on the popular television show “Mail Call” hosted by famous Marine R. Lee Ermey, it seemed to be tradition. “Before it started, we had just been talking about how I had seen that 3/3 got attacked on Christmas Eve in Vietnam and repelled an enemy assault,” said Lance Cpl. Ryan Archambeau, assaultman and MK19 gunner with India Co., from Waynesboro, Pa.
As dawn broke on Christmas morning, the Marines and Sailors joined together in giving thanks for their good fortune that no one was seriously injured in the firefights. After holiday services, the Marines returned to Asadabad where, to the man, the Marines broke out cleaning gear and busted the carbon off of their weapons before heading to Christmas chow. 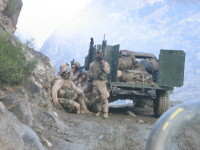 KORANGAL VALLEY, Afghanistan – Marines of India Company, 3rd Battalion, 3rd Marine Regiment, have been operating at the forward edge of Operation Enduring Freedom, often in isolated areas where support for insurgency against the Afghan government and Coalition Forces remains. Last week, India Co. entered the Korangal Valley in Konar Province with the mission to capture or kill terrorists suspected of conducting attacks against Coalition Forces, while working to win over the trust of the local villagers. After vertically inserting in CH-47 Chinook helicopters, India Co. set into blocking positions along the roads and maneuvered into their positions. Bechtold admitted that Marines in the past have had difficulty getting into villages sympathetic to Anti-Coalition Forces without having the targets flee. Once in place, the mission of India Co. evolved to house-by-house searches as the clock started ticking on how long the Marines had until it was unlikely that their targets remained. 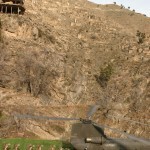 Up and down the bluffs and rocky faces that double as paths between the impossibly stacked-up houses of the valley, the Marines and their Afghan National Army counterparts talked to village elders, shook hands and searched houses from top to bottom. With the discovery of the weapons, the Marines held one Afghan man for questioning, confiscating his illegal weapons and ammunition. Their find was a good one. After being questioned, the man named several other anti-Coalition militants operating in the area which put India Co. right back to work in the villages. 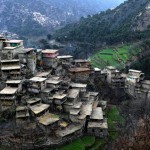 Korengal Valley village, December 2004. 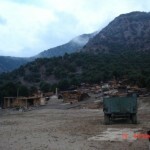 Extraction of India Company, Korengal Valley, December 2004. India Company at The Lumberyard, Korengal Valley, 19 December 2004. 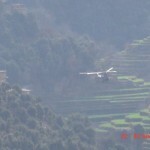 CH-47 flying in the Korengal Valley during Operation CORNHUSKERS, 22 December 2004. India Company returning from the Korengal Valley, 22 December 2004. For heroic achievement in connection with combat operations against the enemy while serving as 3d Platoon Commander, Company I, 3d Battalion, 3d Marines, Combined Joint Task Force-76 from November 2004 to June 2005 in support of OPERATION ENDURING FREEDOM in the Kunar Province of Afghanistan. During this period, Second Lieutenant Ankney performed his duties in an exceptional manner while displaying unmatched professionalism and tactical expertise. On 24 December 2004, while extracting one of his squads following an engagement with the enemy, the convoy he was riding in was ambushed by approximately 30 Al Qaeda fighters. With sound presence of mind and exceptional bravery, Second Lieutenant Ankney quickly dismounted his marines and maneuvered his platoon in a counter attack against the enemy position. Leading from the front, he directed his marines in closing over 800 meters of mountainous terrain to dislodge the enemy who were occupying hardened positions and caves. Second Lieutenant Ankney’s courageous actions, initiative, and complete dedication to duty reflected great credit upon himself and were in keeping with the highest traditions of the Marine Corps and the United States Naval Service. Heroic achievement in connection with combat operations against the enemy while serving as combined Anti-Armor Team Platoon Commander, India Company, 3rd Battalion, 3rd Marines, Combined Joint Task Force-76 from 10 November 2004 to 15 June 2005. On 24 December 2004, while leading a ground assault convoy into the Korangal Valley, an enemy force of 30 fighters ambushed his five-vehicle convoy. Remaining calm, First Lieutenant Frangakis initiated the convoy’s immediate actions and directed the employment of over 100 marines in a counter attack against the enemy. First Lieutenant Frangakis exposed himself to heavy fire, moving between the vehicles assessing their status and giving direction to the subordinate element commanders. Upon establishing fire superiority and communications with higher headquarters, he expertly controlled and deconflicted close air support with ground support agencies, allowing the marines to close with the enemy positions. First Lieutenant Frangakis’ courageous actions, initiative, and complete dedication to duty reflected great credit upon himself and were in keeping with the highest traditions of the Marine Corps and the United States Naval Service. 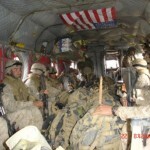 Heroic achievement in connection with combat operations against the enemy while serving as squad leader, Company I, 3d Battalion, 3d Marines, Combined Joint Task Force-76 on 24 December 2004 and 12 March 2005 in the Kunar Province of Afghanistan. On 24 December, while operating in the Korangal Valley, 2d squad was ambushed by Al Qaeda forces employing small arms and rocket propelled grenades. During this attack, Corporal Hornung was wounded by enemy fire and continued to engage the enemy while refusing medical evacuation until his platoon was extracted. On 12 March 2005, during operations in the village of Salar Ban, 2d Squad was attacked by 10-15 Al Qaeda fighters. While under heavy enemy fire, Corporal Hornung moved to assist the rest of his team in gaining cover and establishing fire superiority. Learning that two Marines in his squad were injured, he assisted the squad leader in attending to the wounded. After being struck by fire in the small arms protective insert plate positioned over his chest, Corporal Hornung continued to treat the wounded and fight the enemy. By his enthusiasm, professionalism and unwavering devotion to duty, Corporal Hornung upheld the highest traditions of the Marine Corps and the United States Naval Service. Heroic achievement while serving as mortar squad leader, Weapons Platoon, India Company, 3d Battalion, 3d Marines, U.S. Marine Corps Forces, Central Command, on 23 December 2004, in support of OPERATION ENDURING FREEDOM. During the execution of Operation Cornhusker in Korangal Valley, Afghanistan, Corporal Summers’ squad was tasked with supporting a squad overwatch position with indirect fire support. During the night, an anti-coalition force attacked the squad with rocket-propelled grenades and heavy small arms fire. Without hesitation, Corporal Summers rallied his squad and immediately began to suppress the enemy with effective mortar fire. While engaging the enemy, he continued his withering fire on the enemy position, crushing their will to fight. Corporal Summers’ quick reaction and steadfast leadership prevented the anti-coalition militia from maneuvering on his squad’s position. Corporal Summers’ enthusiasm, ability, personal initiative, and unswerving devotion to duty reflected great credit upon himself and were in keeping with the highest traditions of the Marine Corps and the United States Naval Service. 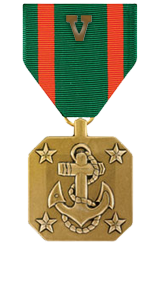 For heroic achievement in connection with combat operations against the enemy while serving as squad leader, Heavy Combined Anti-Armor Team, attached to Company I, 3d Battalion, 3d Marines, Combined Joint Task Force-76, while deployed in support of Operation Enduring Freedom in the Kunar Province of Afghanistan from November 2004 to June 2005. During this period Corporal Whalen demonstrated exceptional leadership, challenging his squad mentally and physically and seamlessly operating independent of his platoon headquarters. Serving in a challenging billet usually reserved for senior sergeants, he was considered the subject matter expert in heavy machinegun employment, and combined anti-armor concepts. During an engagement on 24 December 2004, he calmly and confidently employed his squad, successfully suppressing the enemy forces attacking his section’s mounted patrol. Under heavy fire, Corporal Whalen continued to expertly control his section’s fire, providing the necessary support to allow his fellow Marines to close with the enemy. Corporal Whalen’s professionalism and dedication to duty reflected credit upon himself and were in keeping with the highest traditions of the Marine Corps and the United States Naval Service.